Eve Dawes, All-natural, cruelty-free, custom cosmetics. 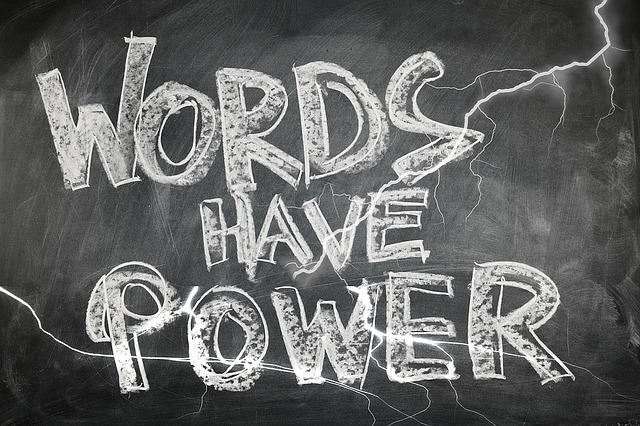 The power of language can never be underestimated! Take the words “I do” in marriage vows for example, which have the power to tie you legally to that person. Whether it’s right or wrong, the fact is that we are judged by how we speak, our pitch, tone, accent, and our choice of words; it all conveys meaning and is how we interact with the World. Your voice and language speak volumes about you. The language we use with our friends and family can be very different to that which we use in the workplace and interviews but it can be hard to not let habits creep in in a professional setting. A turning point for me was Pageant interview preparation, which made me even more conscious of my word choice and how much we use and rely on filler words, especially while trying to formulate an answer. Phrases I had to break myself from saying included: ‘You know’, ‘just’ and ‘like’. There’s usage for both but the word ‘like’ seems to have crept into almost every sentence when it’s not needed. Another habit that’s spread is starting a sentence with ‘so’ or ‘yes’ when not as an answer to a question but as a way of starting and ‘um’ or ‘er’ instead of getting straight to the point. Are these phrases like nails on a chalkboard to anyone else? I’ve tried to be more conscientious of what I’m saying and slow my speech, which has helped me in more ways than one. I’ve noticed that people ask me to repeat myself less; I’m more concise and more confident with public speaking. Watch how when you become more aware of your words and how you’re phrasing sentences, you make more conscious choices about how you express yourself and your words are more meaningful. Words are a personal choice, so if you like your “um”, “likes”, and “you know”s, go ahead. However, if you want to make a good impression, sound professional, confident and intelligent in an interview and business setting, cut the filler words and “practice what you’re going to say out loud, beforehand, so you’re not searching for your words when you’re in the real interview” fastcompany.com. Eve Dawes, Founder of Dawes Custom Cosmetics and Fitness by Eve, Sorority Specialties Sales & Social Media Manager, Mrs. Nevada United States 2017, and WBFF Pro Diva. After graduating from London Studio Centre, she toured internationally as a dancer before finding her niche as a fitness professional. Eve’s unique combination of active leadership, allows her to empower everyone she comes into contact with. She promotes, educates and enables others to achieve their personal and physical goals and believes no dream is too big.